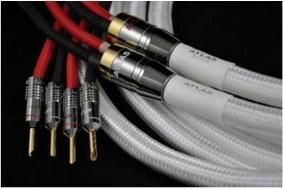 BRISTOL SHOW 2011: Check out all the latest cables from Atlas | What Hi-Fi? So if you're a bit of a cable fanatic, head on over to room 324 at the Marriott Hotel this weekend, and you'll be able to see and hear a veritable smorgasbord of cables. Phew! That's quite some list. For full details of all the other exhibits at Bristol, see our show blog.